My nephew is starting kindergarten next week. Like mothers across the country, my sister is stressing out about his 1st day of school outfit. I really wish school still started in the fall. 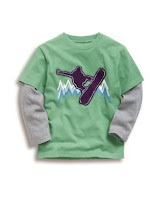 He would look so cute in this Extreme Sports T-shirt. a school uniform would be easier! !